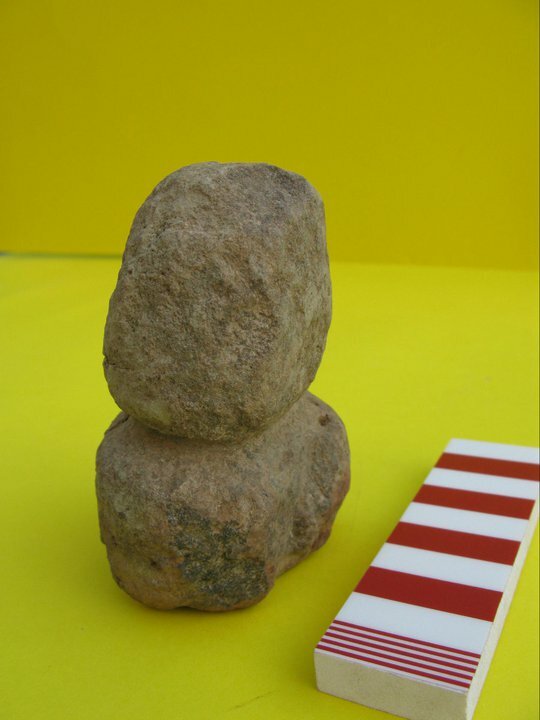 Stone figurine from previous excavations at the site. The Department of Antiquities, Ministry of Communications and Works announces the completion of the 2013 excavations at the PPNA (9th millennium) site of Ayia Varvara-Asprokremnos. The excavations were conducted from the end of March to mid-June 2013 under the direction of Dr Carole McCartney on behalf of the Archaeological Research Unit of the University of Cyprus working in partnership with Cornell University and the University of Toronto. This season of excavation focused on the recording of three structures, evidence of the industrial activities carried out at the site and documenting the sequence of occupation. The site, currently dated by radio-carbon to between c. 8800-8600 BC cal., marks the initiation of the Neolithic period on Cyprus at a time when the transition from hunting to farming economies was beginning throughout the Middle East. Taking the Neolithic Revolution into the Mediterranean zone, the occupants of Ayia Varvara-Asprokremnos carried cultural traditions and intensive resource procurement and manufacturing activity to the island some 11000 years before present.